Inverell is located in northern New South Wales on the Macintyre River, 593 kilometres from Sydney. Many crops are grown in the surrounding area, including wheat, barley and oats, and the area is also recognised for its sapphires. Inverell court house is an historic building, built in 1886. It is located on Otho Street. CountryLink buses run on a daily basis throughout the week from Sydney to Inverell.  Visit Sydney Criminal Lawyers® for Criminal & Traffic Lawyers for Inverell Local Court.